A Little Blueberry: Hello Apparel Palm Tank Giveaway! Spring has finally "sprung" here in Arizona (what was with those cold and rainy weeks?!) so I thought I'd do some giveaways in honor of the warmer weather (come on Summer!). This week I teamed up with Hello Apparel to give away two of their Rainbow Palm Tank Tops - an adult and a kid's size. Have you heard of this company? If you've seen someone walking around in a sweatshirt with "hello" on it, that's them! 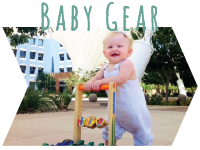 It is a fairly new online store that has gained popularity on Instagram (follow @helloapparel) and is run by a super sweet little family here in Phoenix, Arizona. They have just come out with some new Spring items and these palm tree tanks are so cute! 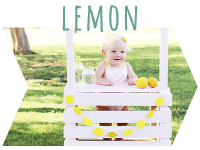 I thought Lemon and I both needed one and that some other mom (or dad, they are unisex) and baby (boy or girl) needed one too! Follow @helloapparel on Instagram so you can be the first to see their new items! Then, we will choose a random winner (with the True Random Number Generator) based on your comment number (2nd person to comment is #2, etc.) I will announce a winner on here and on Instagram (@allisonpants) on Sunday! Thank you for your support, this IS truly a great company with amazing products and I always like to do my best to support other mamas out there. And, stay tuned for another giveaway next week!!! Please note: If your comment is not showing up, email me at alittleblueberry@yahoo.com and I will comment for you so that you have a chance to win! You can also try commenting on a desktop computer, that has worked for some. I am not sure why this is happening, may be the mobile blogger site. Sorry! Just added your blog to my reader. 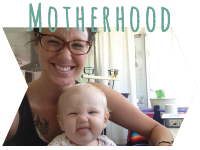 Always love learning about a new (to me) mom blog! Kids 4, adult m. Spring means beach days for us living in so cal! Followed and subscribed. We're excited it is spring because it's too cold in Chicago, nf we can't wait to play at the park with the pooch and baby girl! I love spring because everything gets green and pretty again after the snowy winter! I love hello apparel because it works with every day weather and it is so fun and fashion forward you can look cute or comfy! Size L Adults size 7 kids (or xs) kids. And I love spring because it not only allows myself and my family to get outside and play but to enjoy friends and family with the warm weather!!! I love spring because I am in desperate need of that sunshine! Not to mention I am a bit tired of cardigans daily! :) These new palm tanks are the cutest! Followed the blog and you on Instagram. I was already a follower of Hello Apparel - love their stuff! I would LOVE an adult size L and baby size 2 - my babe is just a couple weeks younger than yours! I can't wait for skirts and sandals!! I am a bew follower and fellow Arizonan! I love that spring means pool time...brcause lets be honest, in Az we go from winter to crazy hot! I'm most excited about spring for the perfect weather and cute spring clothes!!!! Spring means I can start my garden! Yay! I can't wait for baseball games and zoo trips with my daughter and hubby! It will be her first spring, so I'm excited to get OUTSIDE and enjoy the Oklahoma sunshine with her. Adult medium and size 2. Thanks for the chance! Hey girl, you won!! Email me at alittleblueberry@yahoo.com so I can get your tanks sent to you!! Spring means our snow will finally melt!! Here in Wisconsin we have no sight of spring to come! Spring means my little boy can finally run around outside in some warm sunshine!! Spring means freshly picked flowers from the yard!! I love spring because there's warmer weather, flowers blooming, and more trips for ice cream or shaved ice ^_^! I am MOST excited for just taking my son OUSIDE to play and go to my nephews ball games! Followed the blog and instagram. Thanks for the giveaway! Love Spring! We are most looking forward to it drying out enough to play outside! I'm looking forward to spring because I want to be able to wear dresses now instead of so many layers! I'd love sizes 6 and large! I am looking forward to No more SNOW and wearing FLIP FLOPS!! I love hello apparel! Fun giveaway! I can't wait for spring, so I can get into nature with my hub and two littles. After being pregnant the last two summers, I can't wait to play at the park, hike, and camp! I'm looking forward to Spring because its one step closer to summer and my wedding, along with a few of my friends weddings. Oh, and no more shoes -- I want flip flops!! I love Hello Apparel too, and keep saving my pennies to buy something! It's hard to get excited about spring here in Atlantic Canada as we just got a snow storm. Sigh. I'm really looking forward, though, to showing my son the bulbs we planted last fall pop up as beautiful flowers! I hope he's as excited as I will be. :D We'd love a size 4 and a medium in those matching tanks. 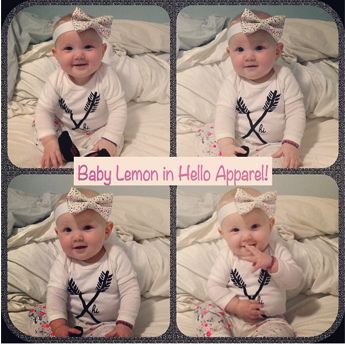 We love Hello apparel! We are size 2 and size XL. We can't wait for spring, we are ready to run carefree outside with our bare feet in the grass, and soak up the sweet sweet sunshine! We love hello apparel!! We can't wait for spring so my peanut can play outside! She was born last May so this spring will be so much fun for us! We are a size small and a size 2 (12m?)! This is a super awesome giveaway!!! I am so exited spring is finally here because that means we can ditch the sweaters and boots and wear comfy clothes like dresses and sandals :) and btw great blog glad to have found it and will be following. I am so looking forward to spring and the warmer weather. It will be nice to take walks again with my daughter. I also am pretty excited to get my sandals out and put my boots away! Size 2 and small. Hopefully this comment will stick! I'm following you and I've been following Hello and you on IG ;) I'm excited about Spring because here in Japan there are so many cool festivals this time of year and it's a really wonderful experience each time I go to one. Also the cherry blossoms are in bloom, so beautiful. Please delete any duplicate comments. I was trying to enter from my phone but it didn't seem to work. We love the cool spring nights with the doors and windows open. Also, it's gardening season so that's always fun. I am so exciting for this spring because I will be celebrating my son's 1 year birthday! Spring =green! And the anticipation of summer!!! Size 2 and size small. We are experiencing record LOWS here in the MW. I am so excited for the warm weather to hit and I am sure that these tees would help! 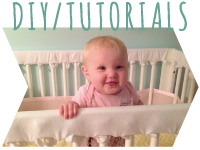 I love that I happened onto to your blog! We are most excited about going to the beach for the first time this spring break with our son that just turned 1. Size Medium and 4. I love spring because I will finally be able to go on walks with my baby girl! Size 2 for baby and L for adult. I followed your blog and you on IG and I was already following helloapparel on IG. *more time outside...mainly for my sanity. Looking forward to getting my urban garden growing!! Kid's size 2, Adult M!! I'm looking forward to spring weather and lighter clothing! (size 3, size M). Thanks for sharing! mostly looking forward to sunshine and lollipops! I'm looking forward to being able to run outside with my kids! These are too cute! Would love to have an adult small and a child size 4. I mostly looking forward to playing outside with my little! child size 3 and adult small! I am mostly looking forward to spring because that means my family should start being healthier again! This winter has been so brutal on our immune systems! Child 6 Adult S (thanks for giving me the chance to win)!! I love Spring for all the bright colors (flowers, clothes, decor) and the pretty green hills around where we live. This is the first giveaway I've tried. Hopefully I have "beginner's luck"! Following on here and on IG as Breezylyn11. Size 4 child and adult small. I love taking my pups for long walks & now have a sweet baby boy I'm looking forward to taking as well! Oh gosh! There are so many things I miss about Spring! The colors is the main thing, the flowers. Size 2 and xs ober here! I love spring because of all the bright colors! I'm looking forward to spring because, that means me and my son get to play outside! Instead of staying inside all the time! And the bright colors are my favorite! also all the new baby animals are always fun to go and see! I'm looking forward to seeing the flowers start blooming in my backyard. Fun at the beach with little Zoe! I'm excited about Spring because I'm pregnant with my first child, due in July and love dressing my bump! These matching shirts are too cute, I'd like a Size S for me and Size 2 for baby. Thanks for the opportunity! 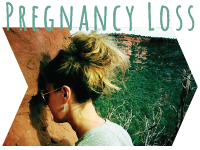 When is your due date? Lemon was born July 2nd last year! Congrats on your upcoming baby! Following! I'm excited because my baby girl turns one next month and is in the verge of walking! Looking forward to spending time outside with our little boy and starting our first garden. I love spring time so we can all go outside and be active. Finally the nice weather and longer days. FOLLOWING YOU EVERYWHERE! ;) obsessing over this giveaway! i must own this :) soooo my favorite thing about spring is the vitamin d i get whoop whoop and being outside for the majority of the daysssss with my baby boys! shirt size, 2 for my lil man and small for me! :) THANK YOU THANK YOU for this opportunity! COMMENT FOR MY HUSBAND, cause he wants to be cool! he loves spring cause he is from CALI, and the winter months make his so dry and we just love being outside! :) thank you thank you! Looking forward to Spring because it's really the only time where the weather is really nice in this part of Louisiana. Can't wait for Pool Days and Picnics. Looking forward to taking my daughter to the theme parks for the first time (and not having to worry about pumping every 3 hrs!!). Adult XS and child 2. Thanks! I hear this! Good luck! We would love the shirts. My husband is a Special Education teacher, we hear this! Good luck! I love spring because living in Florida, this is the best time of year.I love going to the beach, enjoying the outdoors, and hopefully get a much needed tan! This will be my daughter's first spring, so I am so excited to take her out and do all sorts of outdoor activities :) Size 2 and XL. Yay Spring! Excited to wear tank tops (like these adorable ones!) and flip flops and enjoy being outside!! Ooooh new follower here and on Instagram! Found you via Hello - what a great giveaway - nothing better than a bit shameless mother-child matchy matchy! Well I have to say that I am possibly the most fickle season lover... in that with the start of a new season I declare that one as my absolute favourite! So just when I thought Winter was the best, I have now fiercely changed my mind as the little cherry tree at the bottom of my garden gets ready to burst with blossom... Spring is definitely my favourite. Just don't tell the others! Hahaha too funny! Good luck! Spring, spring, spring, wonderful, wonderful springtime! I can't wait to hear the birds singing on my morning run! Thanks for hosting this great giveaway! When was Harper born? Lemon was born July 2nd! Fun! Good luck! Followed your blog, already a follower of @helloapparel on Instagram, so now I'm on to the commenting part: This will be Mila's first spring. Spring in Florida means ripe strawberries, outdoors concerts, festivals and Saturday night fireworks. I cannot wait for her to experience all of these things. We sure would look like a couple of babes showing up to the Blues Festival next month in matching Hello Apparel Rainbow Pam Tanks! Allison's with two L's are my fav! Good luck! Following you blog ! so cute!! and hello apparel on instagram! Spring for me means fun outside with my little one, flowers , warm weather and so many fun weeekends!! WE are excited for Spring because it means sunshine, flowers, and playing outside! We would love an adult size small and a child size 4. The best part of spring is the PERFECT weather! Not too hot, not too cold. We would love an adult medium and kids size 2. LOVE this giveaway! I love everything from hello apparel and am so excited! You and Lemon are rocking those tanks for sure! I am excited for spring because it means finally some warmer weather. If I won I would love an adult medium and kids size 2. I'm excited for the warm weather! 4 & M! I love Hello! And, now... I love your blog! I'll be following! :) Anyways, I'm soooo jazzed about spring because this is my baby girl Simone's very first! That means first Easter basket, first swimsuit, first dip in the pool. Being a new Mom the firsts are so much fun for our little family! If we were lucky enough to get randomly generated... I would be a Small and get Simone a size 2. Following your blog + helloapparel on instagram. Would love a size Small for myself, and a size 2 for V. Thank you for the giveaway! So excited for Spring so that I can take me kids outside to play all the time! In Oregon, we get all of the wonderful season but Spring is definitely my favorite. Excited for the cute clothes the kiddos get to wear! Like the cute helloapparel shirt you beautiful ladies are wearing! Thanks for this chance momma! Love the longer and warmer days that start in spring! Most excited about starting our garden! LOVE this company, already own the blue sweatshirt! Kids 6, Adult L Thanks! Such a sweet gesture, good luck! Spring in Miami really means summer is here without all the rain! Can't wait for pool days and beach weekends! Would love to rock the tank with my mini! Size 2T for Catalina and size s for me thanks! Were excited for spring so we can start swimming outside again! Adult xl and kid 4! I'm excited about these tanks because we live in Phoenix and love to support local businesses, plus we get to wear tank tops almost year round so these will get a ton of use! :) We'd love them in a size 2 and a medium.